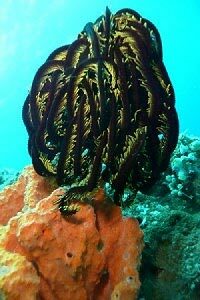 Midreef boast some of the best coral formations in Sipadan: black coral, knotted fan corals and gorgonian sea fans. Ascending you will find cabbage corals, table corals, green tree corals, and all manner of stony corals. You can admire the many green and hawksbill turtles along with cruising white-tip reef sharks. Location: South of Whitetip Avenue.